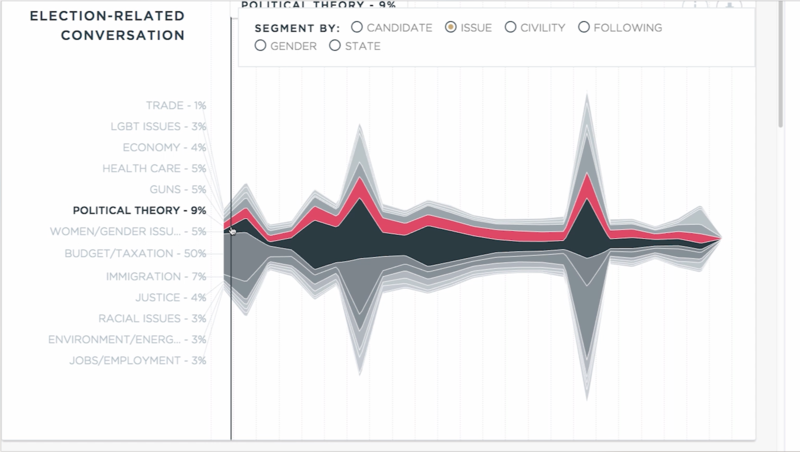 Built at the Laboratory for Social Machines (LSM) with support from Twitter and Knight Foundation, The Electome is a data project aimed at improving journalism and electoral politics in the social-media age. During the 2016 US presidential election, The Electome used machine learning, network science, and other artificial-intelligence techniques to track the public response to the campaign, with a focus on policy issues. Dozens of stories were published with news organizations including The Washington Post, CNN, and Vice. The Electome was also an official partner of the Commission on Presidential Debates, providing data and suggested questions to the moderators. One of its analytic tools was the focus of an exhibit at the Newseum in Washington, D.C. LSM is the only science lab in the world with access to Twitter’s full output of approximately 500 million tweets per day. Additional footage courtesy of YouTube. McKinsey & Co. and LSM ask: Can we understand, and even predict, the relationship between video story content and audience consumption? Just how uncivil is Election 2016? MIT's Media Lab has some charts you should see.